One year after the Raspberry Pi 2 B was unveiled as the first ‘performance’ Pi, the Raspberry Pi Foundation has announced the Raspberry Pi 3. It looks the same, it costs the same. But it isn’t the same. We’ve been using the two circuit board computers side-by-side to see if it’s worth upgrading. Without wanting to spoil the surprise, claims that the Raspberry Pi 3 is 50 per cent faster than the Pi 2 B are on-the-money, more-or-less. If you’re a bit of a Raspberry Pi obsessive, it’s an easy-to-recommend upgrade. Given their size, it’s impressive that these circuit board computers have the same connections as a large laptop of a few years ago. However, on the wireless side the Raspberry Pi 3 embarrasses the Pi 2. It has Wi-Fi and Bluetooth, where you’d need to use USB adapters to add that to a Pi 2. This is a massive benefit if you want to use the Pi as a mini media centre. It has everything you need. Of course, for many people something like the Amazon Fire TV Stick has already offered an all-too-tempting alternative. For those with aspirations greater than basic projects, both Raspberry Pis have a GPIO pin set and a camera interface. In typical Raspberry Pi Foundation style, the Raspberry Pi 3 doesn’t aim for hardware upgrades that’ll just look good on a spec sheet and mean little in terms of real performance. Quite the opposite. The Raspberry Pi 2 has a quad-core 900MHz CPU, the Pi 3 a quad-core 1.2GHz one. Both have 1GB RAM and both use a fourth-generation VideoCore CPU. From a glance you could dismiss this as a connectivity upgrade, but the performance boost is big. Very big. First, while the CPU only gains 300MHz, it also updates its architecture from a Cortex-A7 set to a Cortex-A53 one. This is an architecture boost from 32-bit to 64-bit, and gets you better performance for your clock speed. Next up, the GPU. Both are VideoCore IV chipsets, but where the Pi 2 is clocked at 250MHz, this new one is 400MHz. While they’re both designed to deliver 1080p video rather than 4K, this means the graphics chip has been scaled up with the CPU. The Raspberry Pi Foundation knows what it’s doing. Perhaps the least well-documented upgrade is the RAM. Both models have 1GB, both are forms of DDR2. But where the Raspberry Pi 2 has 450MHz, RAM, the Pi 3 has 900MHz RAM. I had some concerns about the shift of hardware causing some compatibility issues, which I did bump into when upgrading to the Raspberry Pi 2 from one of the earlier models, way back when. Phone fans out there might have noticed that the move from Raspberry Pi 2 B to 3 B is somewhat comparable to the Moto G 2nd Gen and 3rd Gen. That phone switched from a Cortex-A7 architecture to an A53 one and saw only very modest gains in synthetic benchmarks. The Raspberry Pi 3 does much better. We use Geekbench 3 pretty often when testing ARM-powered devices, but there’s only actually one version of Geekbench that supports ARM CPUs and Linux systems. We had to scour the internet for an 2.4.2 old version that would work with these computers. While this is an outdated Geekbench version, we saw a very significant improvement, jumping from 1302 points for the Pi 2 to 2086 for the Pi 3. Here’s the full scores read-out, showing clear jumps in CPU and RAM areas. It’s a massive speed-up for the Raspberry Pi 3, although both scores are pretty poor compared with some other devices using similar-sounding hardware. This is in part because it also depends on the browser used. Both Pis were using the Epiphany browser built into Raspbian. The Pi 3 scores 525 points and the Pi 2 just 296, making the new version almost 1.8 times ‘better’. The Raspberry Pi 3 is just what it should be. It has smart features missing from its predecessor like Wi-Fi and Bluetooth, which had to be added separately before, and a sensible amount of extra power that doesn’t skew the price. Already a Raspberry Pi 2 B owner? It’s worth upgrading if you haven’t already spend the extra on wireless adapters and your old Pi hasn’t gathered too much dust since you bought it. 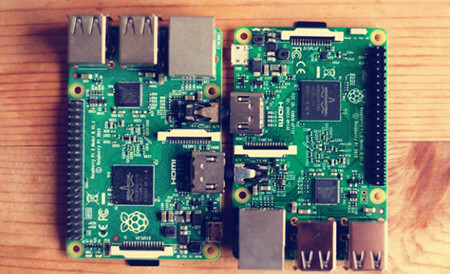 However, if you’re just looking for something to noodle about with using the Raspberry Pi Foundation‘s excellent tutorials, either of these boards will do the trick. For the Pi’s initial intended purpose, the extra power isn’t all that necessary. Raspberry Pi 3 vs Pi 2: Gaming skills More informations you can read here. Now you’ve got Raspberry Pi ready for use and you want to watch DVD movies on Raspberry Pi 3/2 via TV. It’s time for a DVD Ripper to play its role – converting your DVD movies to the corresponding video format supported by Raspberry Pi. And as we know, Raspberry Pi currently supports the video format of H.264. Here I will highly recommend you Pavtube ByteCopy – a conversion product which supports various output video formats with high quality and multiple functions. Read the review. So, applying the app, you can rip videos off DVD disc and convert DVDs to Raspberry Pi preferred format. It’s professional in ripping and converting (3D)Blu-ray/DVD discs, Blu-ray/DVD ISO image, Blu-ray/DVD copies for Raspberry Pi 3/2. For Mac users, please turn to Pavtube ByteCopy for Mac to convert DVD to KRaspberry Pi 3/2 for TV via Mac OS X (including El Capitan). NOTE: Anywhere from 30 to 60 GB of hard disk space is needed depending on what you’re ripping. DVDs are big, and we’re going to rip the whole thing to our drive first, so depending on the movie you’re ripping and the quality you want in your final movie file, you’ll need a good amount of space.